SC restores trial court order, allowing plaintiffs to withdraw the suit with permission to institute a fresh suit. The Supreme Court, in V Rajendran vs Annasamy Pandian, has held that the defect in the survey number of the suit property will constitute to be a “formal defect” within the meaning of Order XXIII Rule 1(3) (a) of Code of Civil Procedure. The plaintiffs, in the instant case, had filed the suit describing the suit property as Survey No.192/9 but the respondents are said to have transferred the patta for the suit property settling as Survey No.192/14. The application for withdrawal of the suit in terms of Order XXIII Rule 1 (3) CPC was allowed. But the high court reversed the said order of trial court. The plaintiffs approached apex court. 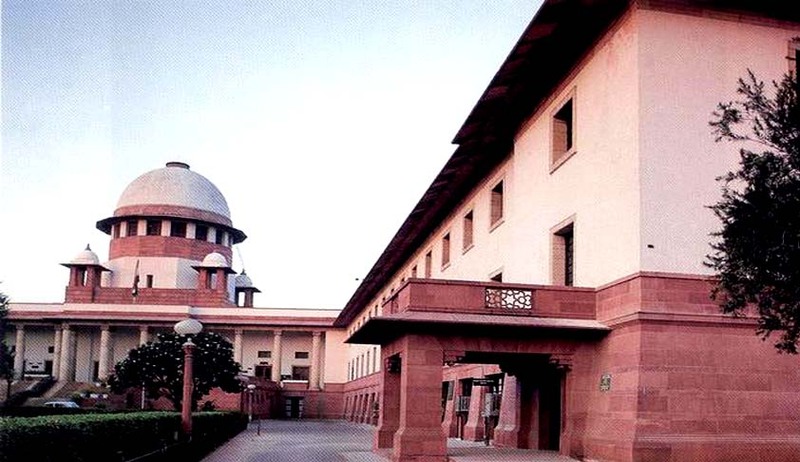 The bench comprising of Justices Dipak Misra and R.Bhanumathi observed that the defect in the survey number of the suit property goes to the very core of the subject matter of the suit and the entire proceedings would be fruitless if the decree holder is not able to get the decree executed successfully and thus, the said defect will constitute to be a “formal defect” within the meaning of Order XXIII Rule 1(3) (a) CPC. “Formal defect” is a defect of form prescribed by the Rules of procedure such as, want of notice under Section 80 CPC, improper valuation of the suit, insufficient court fee, confusion regarding identification of the suit property, misjoinder of parties, failure to disclose a cause of action etc. “Formal defect” must be given a liberal meaning which connotes various kinds of defects not affecting the merits of the plea raised by either of the parties,” the bench said. Setting aside the high court order and restoring the trial court order, the bench said the view taken by the trial court that the suit suffered from a formal defect to allow the appellants to withdraw the suit with permission to institute a fresh suit, is correct.